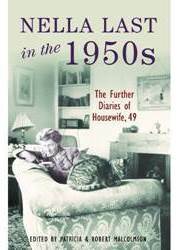 Robert and Patricia Malcolmson are Social Historians and editors of numerous Mass Observation diarists including Nella Last in the 1950s: Further Diaries of Housewife 49. The talk will focus on their use of Mass Observation and explore the diaries collected by the original Mass Observation movement (1937 – 1966). Dr Claire Langhamer is a social and cultural historian. Claire will talk about her use of the Mass Observation Archive for her recent publication The English in Love;The Intimate Story of an Emotional Revolution.